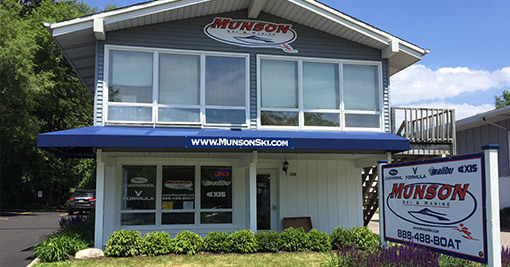 Welcome to the newest location of Munson Ski & Marine, in downtown Fontana, Wisconsin on the western shore of Geneva Lake. 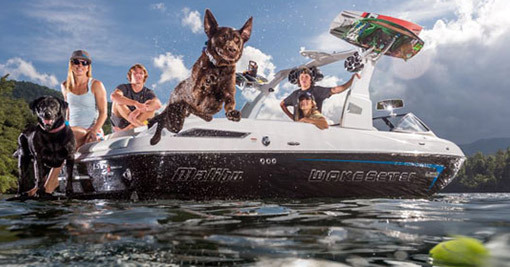 Munson Ski & Marine has played an integral part in the high-performance and recreational boating trade since 1957. It is our mission to provide superior customer service while offering the best products in the market at the best possible prices. We have earned dozens of boating industry awards including Top 100 Dealer from Boating Industry, Platinum Award Dealer for Customer Service, Boat Dealer of the Year, and many more. 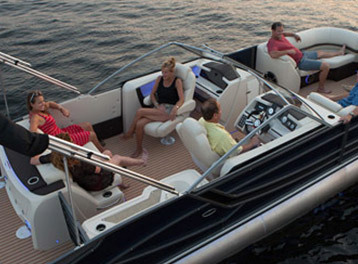 Munson Ski in Fontana carries Chaparral, Malibu, Robalo, Axis, and Bennington Pontoons along with a good selection of pre-owned boats. We service the southeast Wisconsin and northern Illinois communities of Lake Geneva, Williams Bay, Delavan, Elkhorn, Walworth, Janesville, Racine, Whitewater, Fort Atkinson, Fox Lake, McHenry, Gurnee, Round Lake, Rockford, and Love’s Park. Our full-service service center is “State of the Art”. Munson Ski & Marine takes great pride in introducing satisfied customers to the excitement of boating and water sports; year after year we have managed to create happy boating memories for countless customers.